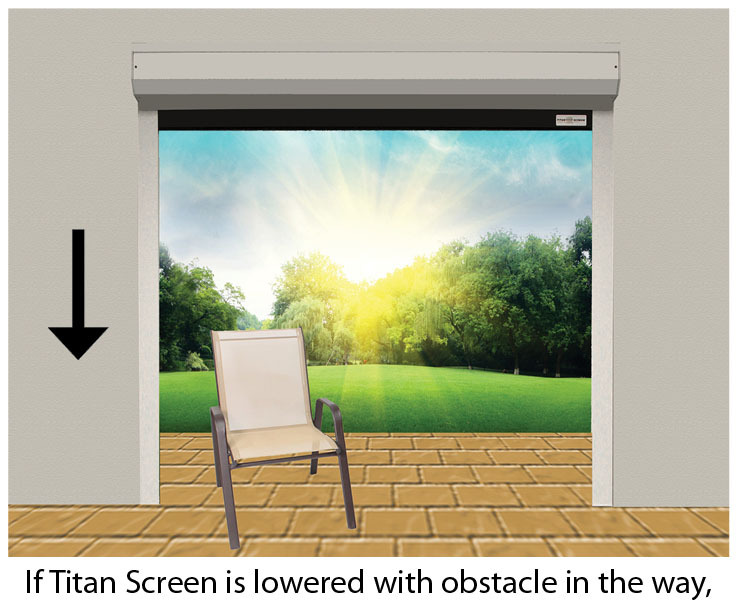 All motorized Titan Screens feature mechanical obstacle detection. This means that if you accidentally leave a chair or other item under your screen or if a branch blows into its path, the motor will stop revolving when the screen encounters that item, preventing motors from burning out or screens back-rolling inside its housing and significantly reducing service issues. 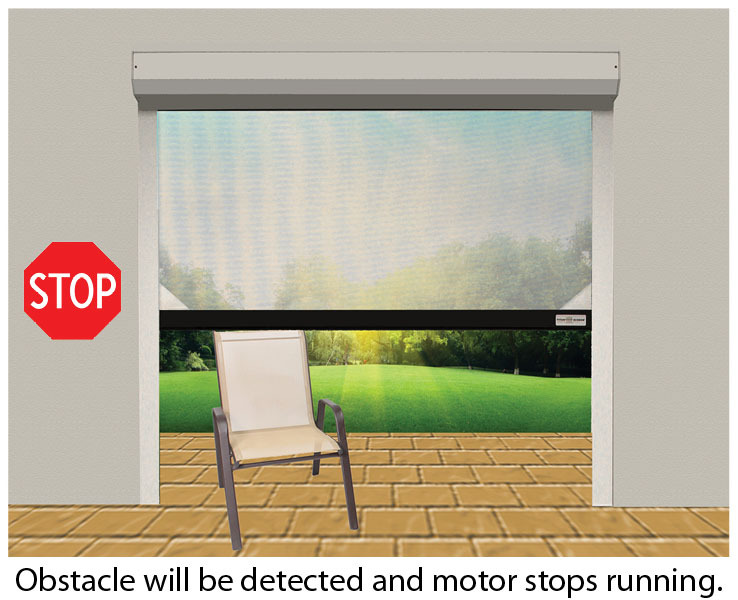 You can confidently tie you screen into your home automation system, as well.